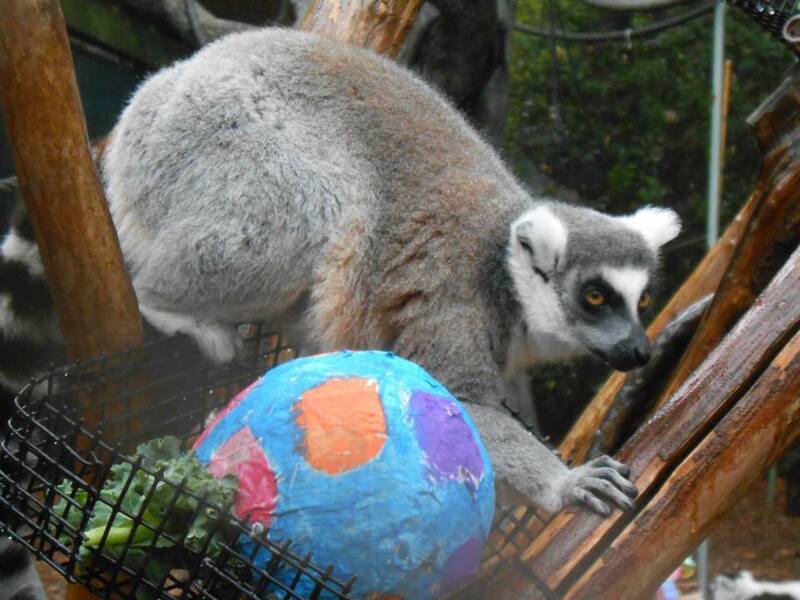 After months of lead up, the second annual World Lemur Festival arrived from October 29-31. The event’s aim was to raise awareness for lemur conservation, celebrate lemurs and Madagascar, and educate the public about why it’s important to protect them and their habitats in Madagascar. By all accounts, not only did this year’s events go above and beyond in fulfilling this mission, but the festival was even more successful and featured even more events than the first festival a year ago. Let’s journey around the globe to take a closer look at a few of these events. This year the Madagascar Fauna and Flora Group (MFG) decided to host three different events, one for each day of World Lemur Festival. The result was three very different, but equally effective events that helped to spread the world about lemurs in the Tamatave region of Madagascar. The first event took place on October 29 in Fontsimavo, a rural town located approximately 40 km northwest of Tamatave. Since MFG has been working on taking a more integrated approach to conservation in this area, conservation and health partners joined forces to create a “Health and Well-Being Festival,” to show how human health and environmental health are interconnected. The day started with visits to partner stands, including MFG, Madagascar National Parks, Marie Stopes International, Population Services International, ONG St. Gabriel, and a group of local Community Health Workers. Each partner explained about the work they are doing and gave speeches to teach about their impact. Community members also got involved by reciting poems about health and the environment, and a group of students did a dance about the importance to wash your hands. The day ended with a free concert by Malagasy artists Coco and Nounous. Over 600 people were in attendance, despite the pouring rain. 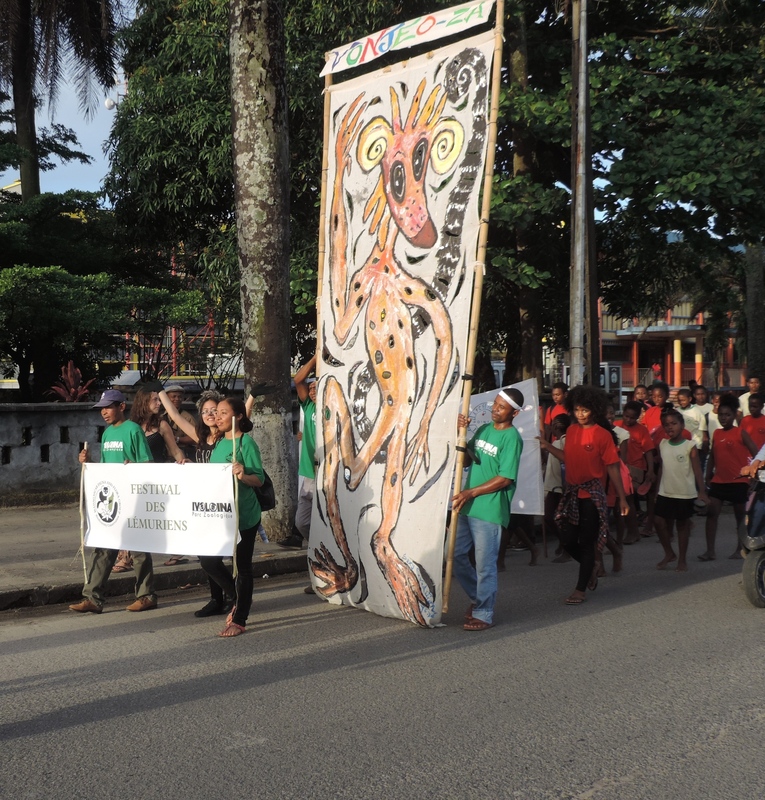 Parade in Tamatave, featuring giant lemur painting. Photo courtesy of Madagascar Fauna and Flora Group. The second day of the festival was held in Tamatave. This was the first festival of its kind to be held in the second largest city in the country, and kicked off in the afternoon with a parade of 240 participants from local schools and clubs. Some groups really got into the spirit and dressed up as lemurs or created posters to represent the theme. 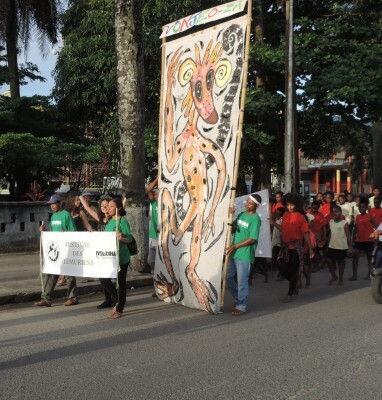 The parade was led by a giant lemur painting, created by local artist Myriam Merch, and the Chinese Congregation of Tamatave brought up the rear with their Chinese dragon. Following the parade, there was a showing of the movie Island of Lemurs: Madagascar to a group of about 50. After the film there was a lively question and answer session about lemurs and MFG’s work, led by MFG staff members. Later that night, Malagasy artist Dat’Kotry held an intimate concert at Neptune Club for an audience of around 30. The final and biggest day of the festival was held at Parc Ivoloina, which drew a crowd of over 1,000. 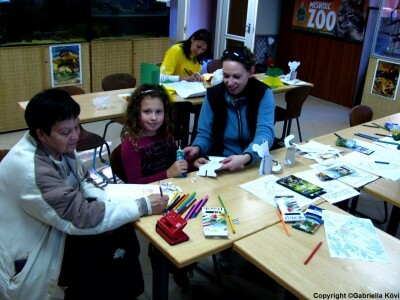 The morning was focused on educational activities for children including artwork, quizzes, and lemur calling contests. They also announced the winners of the drawing contest. The theme for the contest was “The Future of Lemurs is in our Hands” and 14 drawings were selected from the 61 submissions based on the categories of “best representation of the theme”,“best drawing of lemurs”, and “director’s choice”. The afternoon ended in a big concert that brought together all three Malagasy artists: Coco, Nounous, and Dat’Kotry. MFG would like to thank all their partners for making these events possible, including Omaha Zoo Chapter, Disney, Bush Gardens, Duke Lemur Center, Lemur Conservation Foundation, Lemur Conservation Network, and LuminAid. Lemur Carnival in Antananarivo. Photo courtesy of Mikajy Natiora. 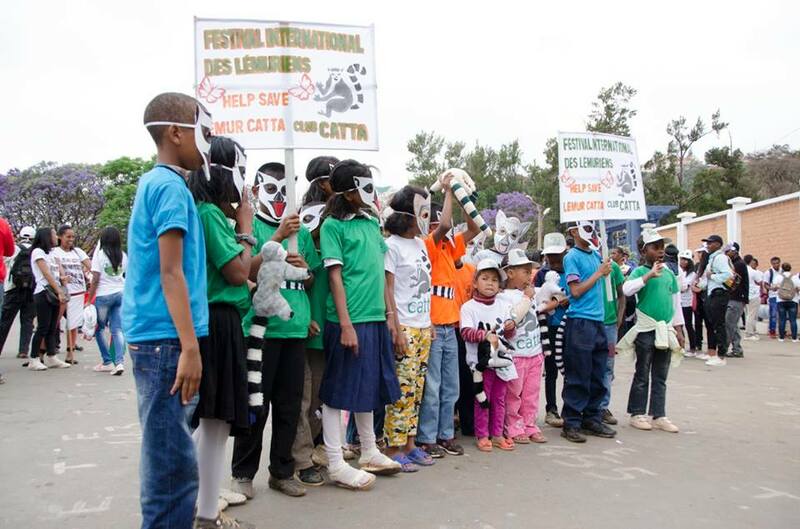 Mikajy Natiora and GERP Madagascar teamed up to host World Lemur Festival events in Madagascar’s capital city of Antananarivo. The official World Lemur Festival 2015 kicked off on October 30 with a carnival and parade featuring representatives of different NGOs and associations active in the protection and conservation of the environment, and children from local schools. Other activities on opening day included visiting booths, guided tours of the local zoo, Botanical and Zoological Park Tsimbazaza (PBZT), various artistic and folk performances, and debates on the conservation status and fate of lemurs. The closing day of the festival on October 31 included educational activities for children from different schools at the Ambohijatovo Garden, and another carnival and parade around the garden. The event also included a special exhibition at the Tahala Rarihasina, lemur-themed games and crafts, and a soccer tournament. The Aspinall Foundation organized multiple events to celebrate the World Lemur Festival over four days at the end of October. 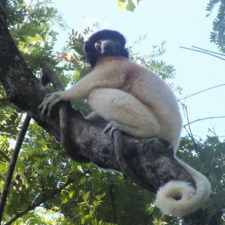 The events were based at one of their lowland bamboo lemur sites, Fanasana Gare, and one of their higher altitude rainforest sites, the town of Sakalava. Event highlights included a lemur mask competition for children, a folklore competition, and a lemur-related poems and songs competition. 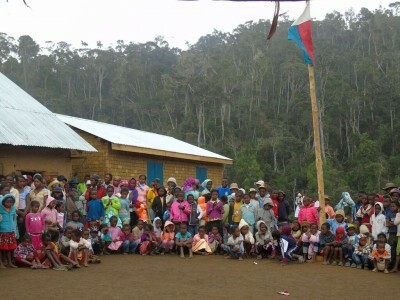 The BBC film about lemurs by David Attenborough, Madagascar, Island of Marvels was shown (translated into Malagasy), and at Sakalava, the key to the newly built classroom of the Bemandotra Primary School, built by a partnership between Aspinall Foundation & the local community, was ceremoniously handed over. As part of the festival, The Aspinall Foundation donated many items to the local community, including lemur writing books for more than 3,000 Malagasy children, school supplies, indri and black-and-white ruffed lemur cardboard caps, and school bags with Aspinall logo. The village of Sakalava, where one of the events was held, sits right on the edge of the forest, showing just how important education and awareness-raising is to ensure the survival of lemurs there. Children enjoy lemur-themed crafts at Miskolc Zoo’s Lemur Day. Photo courtesy of Miskolc Zoo. Duke Lemur Center’s SAVA Conservation Project organized a major city-wide event in Andapa, a city in northern Madagascar, for this year’s World Lemur Festival. The event included a parade, dance contest, lecture, lemur questions and prizes, poetry readings, a lemur picture drawing contest, and playing of the BBC Malagasy Film, Nosy Mahagaga. The Miskolc Zoo in Miskolc, Hungary hosted its first ever World Lemur Day celebration this year. The event included posters with information about Madagascar, special lemur feedings with keeper talks throughout the day, a slideshow about Madagascar, and crafts such as making King Julien hats (from the movie Madagascar), ring-tailed lemur toilet-paper roll crafts and masks, and coloring sheets. Zoo Atlanta in Atlanta, Georgia hosted a Lemur Day celebration on November 7. 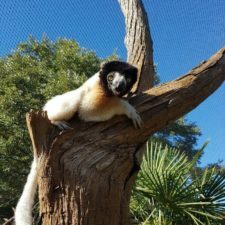 The celebration featured special lemur activities and games, special lemur keeper talks, special enrichments, and a chance for guests to feed some of the lemurs. Zoo Atlanta also showcased opportunities for guests to support lemurs in the wild. Donations were raised to benefit the Endangered Primate Foundation, with 100 percent of guest donations going directly to protecting lemurs and preserving their habitat. On October 28, Lemur Conservation Network hosted the DC Lemur Party in Washington, DC. The event gave a chance for lemur fans to meet and mingle with fellow lemur fans and conservationists at one of DC’s hottest breweries. The event raised donations to support the Madagascar Biodiversity Partnership‘s groundbreaking work protecting lemurs and their habitats in Madagascar. The Smithsonian National Zoo donated many great raffle prizes, including a behind-the-scenes tour of the National Zoo to see their lemurs up close (donated by Friends of the National Zoo), as well as lemur books and other items. There were also “Lemur Chats,” where guests could talk to scientists to learn more about lemur science and conservation. Many other zoos around the world also hosted a World Lemur Festival event, including the Central Florida Zoo & Botanical Gardens in Sanford, Florida, the David Traylor Zoo in Emporia, Kansas, the Sedgwick County Zoo in Wichita, Kansas, Erlebnis-Zoo in Hannover, Germany, Howletts Wild Animal Park in Canterbury, United Kingdom, the Taipei Zoo in Taiwan, and the Sayama Chikozan Park Children’s Zoo in Japan. Duke Lemur Center’s #StandForLemurs campaign. Photo courtesy of Duke Lemur Center. 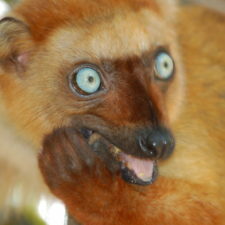 Lemurs and humans are primates. Lemurs have ten fingers and ten toes. Humans have ten fingers and ten toes, too. 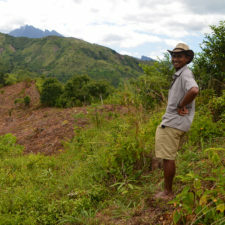 The island of Madagascar may only have 10% of its natural vegetation remaining. On World Lemur Day, October 29, the Duke Lemur Center asked everyone to “Show us your Ten!” by posting or tweeting a picture of those primate toes with the hashtag #StandforLemurs. People could also text Duke Lemur Center to donate $10 to promote lemur awareness, science and conservation. To celebrate the World Lemur Festival, the Lemur Conservation Foundation released MadagaSCARS, a poignant five minute flash animation created by Camille Wainer that captures the urgent environmental and social issues that threaten the future of wildlife and humans on the island of Madagascar. Camille Wainer is an international artist, editorial illustrator, and independent filmmaker and a graduate of the Pratt Institute. To view MadagaSCARS, which will be featured from October 29th to December 1st, visit the Lemur Conservation Foundation’s website at www.lemurreserve.org. Thanks to creative social media posts like these, #WorldLemurFestival became a trending topic worldwide, at one point trending even more than the World Series!